By now, I’m sure you all know that giving feedback is important. However, when you hear the words giving feedback, who do you think of giving feedback to? If you are like most employers, employee evaluations will most likely come to mind. Most businesses often forget to give feedback to one of the most important group of people in the corporate chain – their customers. When it comes to feedback and customers, we often think about it the other way around – receiving feedback from customers. Just like your employees and work partners, what your customers do and think will have an impact on your business. Any successful business owes its success to customer feedback, which helps businesses understand how they can produce better products, or deliver better services. OneDesk not only allows you to collect feedback from everyone; it is a two-way collaborative interface that facilitates communication and teamwork. With OneDesk, customers can submit feedback through the portal. 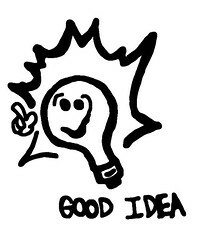 You can immediately let your customers know that you like their idea, and that you will work on it. You can then take the feedback and assign it to the appropriate person so it can be worked on. If the feedback is unclear, you can (and should) ask the customer to elaborate. You can also choose to keep customers updated on their feedback’s status, so they will immediately know that you are taking care of their feedback, and when it is resolved. This leads to a greater customer experience, and to building a stronger business.